Yesterday, I held my monthly executive group workshop and the topic was time management. Several of the group members want to make more time to strategize and are frustrated in not making that time. In talking with one member in a follow up this morning, she shared with me her dilemma. “Strategy” as a word can be very amorphous and overwhelming. In fact, in can be so overwhelming that it actually paralyzes you from doing it at all! 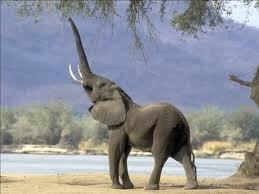 Strategy work for executives and business owners should be like eating an elephant. One bite at a time. Bite # 1 – Define what you want to accomplish. Are you making short or long term goals? Do you need to contemplate sales or operations challenges? Are you formulating an exit strategy (regardless of how far in the future that might be)? Bite # 2 – Once you’ve defined strategy, “unbundle” to make them more bite size. Take only one small bullet point of one of your categories and work on that. Maybe you schedule out your strategy sessions over the course of six months and attack only one piece at a time. This will keep you more focused and the sessions shorter. Bite # 3 – Put your strategy time on the calendar and hold it sacrosanct. Treat your time like you are a client. As an executive or owner, you are doing the best for your company when you are engaging in strategy work. Bite # 4 – Keep notes. They can be either electronic or paper. Always know what you accomplished and what the next steps are. Bite # 5 – Be persistent. Don’t put so much pressure on yourself. Find the time, keep your commitments, follow through, and work one day at a time. This persistence in the end will pay off. Whether it’s cleaning your garage; getting into shape; eating that proverbial elephant; or making time to strategize; you WILL eventually finish your task with a committed and consistent plan. Define, unbundle, commit, record, and persistence will finish off the elephant and your strategy work.